Common sense (and the law) tells us that you shouldn’t drink while intoxicated. Getting behind the wheel of a car in an impaired state isn’t just a danger to yourself and your passengers – it’s a potentially life threatening situation for everyone else on the road. So if “Don’t Drink and Drive” is such an accepted mantra in this country, why has “Don’t Text and Drive” NOT been accepted in the same way? After all, you’re just as impaired with a phone in your hand as you are after a few drinks – arguably more so in many situations. Many people don’t realize just how dangerous texting and driving can really be. According to Asirt.org, there were roughly 5.4 million car crashes in the United States in 2010, resulting in 33,000 fatalities and 2.2 million injuries. According to the United States Department of Transportation, cell phones are a direct contributor to roughly 1.6 million auto crashes each year. Its arguably that almost 30 PERCENT of all car crashes would not happened if the parties involved would have put their cell phones down and had their full attention on the road in front of them where it belonged. One of the reasons why undivided attention is so important when you’re behind the wheel of a car has to do with your reaction time. If an obstacle appears on the road in front of you, logic tells us that it would be much easier to avoid a potentially fatal situation if you were aware of that obstacle as quickly as possible. 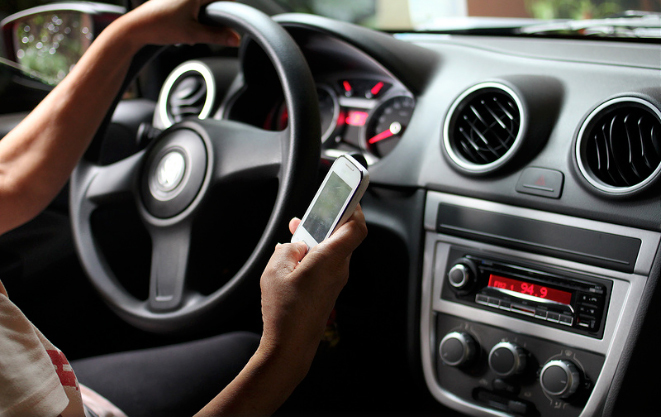 If you found out that, according to the University of Utah, the reaction times of a 70-year-old driver not using a cell phone and a teen driver using a cell phone were identical, would that change your mind about the occasional text while you’re behind the wheel of a car? What if you learned that according to the Virginia Tech Transportation Institute, texting and driving at the same time automatically makes you six times more likely to cause a car accident than your odds if you got into the same car while intoxicated? These are just a few of the reasons why NOT texting while driving is so important. Not only does it help keep you and your passengers safe, but it also could potentially save the lives of others on the road. At Harshbarger Law, we proudly handle any and all auto accident and personal injury cases on a contingency basis – including those involving texting and driving. This means that unless you are compensated, we don’t take a fee – period. To find out more about texting and driving, or to learn more about how we can help you or a loved one in the aftermath of a car accident, please don’t delay – call Harshbarger Law today. This entry was posted in Personal Injury and tagged driving, Personal Injury, redlands, San Bernardino, texting. Bookmark the permalink.